Since I’ve decided to allow myself to write I find stories swirling around in my head more often than before. When I see something now I think: that would make a great story, instead of just allowing it to pass by unremarked upon. So all of this swirling and tinkering and development that has been happening has got me thinking. What is creativity? What does the process actually feel like? The first thing I can say is that it feels like excitement. Allowing yourself to use your imagination is a most liberating and thrilling decision. To actively follow the paths that your day dreams lead you to and to create something concrete from them feels like an adventure happening inside your head. At the beginning of any adventure there is the excitement and anticipation. The next thing to happen is the thought. When you first get a thought it is unfocused, blurry. It feels like waking from a dream and trying to hold onto the last tendrils of the visions as they slip away. Then you have to decide, to make it concrete, you have to pick a direction. Each time this happens it feels like a major life choice. Even if it only takes a day to write a story, that is one day you are dedicating to a world that you have chosen, to a character (or a handful of characters) and their experiences. So in essence, the path you choose is an important one. Settling on a story had always been a problem for me, a bit of an existential crisis as I wonder: why this story? Why these characters? But as I have been writing so prolifically of late I am finding that existential crisis to be less prominent as I have an answer now: because I choose this one. So first we have excitement, then adventure, then choosing a path. Next comes the logic. Once you have chosen a path for your story it needs to make some sort of sense. Even if you leave the details ambiguous, the imagination of the reader still needs to have a place to go that makes some sort of sense. This feels like doing spacial math, it feels less fanciful and more concrete than anything that has come before. So there is a bunch of shuffling and mumbling and rearranging and then, if you’re lucky, the eureka moment. Ah the eureka moment, when the story solidifies and everything fits into place. It feels like a miracle. It feels as though you have never gotten to that place before (even though you probably have if you have written something or solved something in the past). Once the eureka moment fades away you are back to the logic, the fidgeting and fumbling as you try and get your story out of your mind and onto the page. You feel excited as though you are about to go on a great adventure. 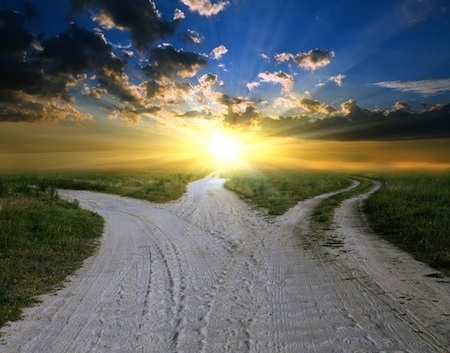 You set out and come to a crossroads where you need to choose a path. Once on the path you feel focused and a series of puzzles are laid out before you. You work your logical brain (with building tension) until the eureka moment relieves some of the stress and then you carry on with your adventure, making minor adjustments along the way. Writing it out like that makes it sound a lot like life, doesn’t it? Perhaps creativity is just a microcosm of our existence and the way we each approach it and feel it says something about the kind of people we are. How does your creative process feel? Tell me about it!